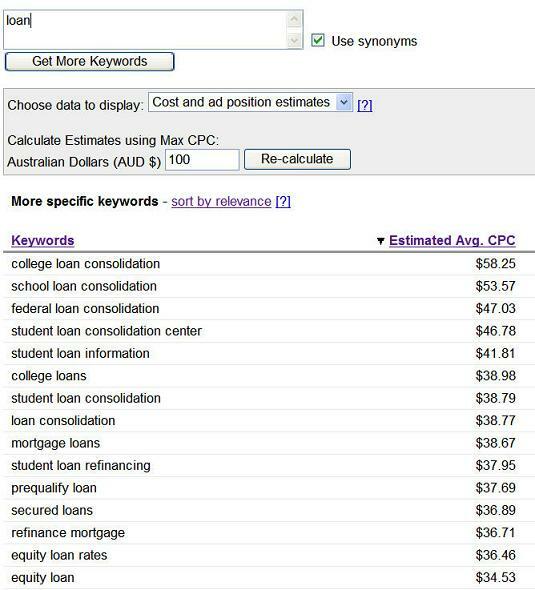 Important Note - The dollar amounts the Google bid estimation tool gives you are estimates of what advertisers would have to pay to get the top spot for Google Search for those keywords. 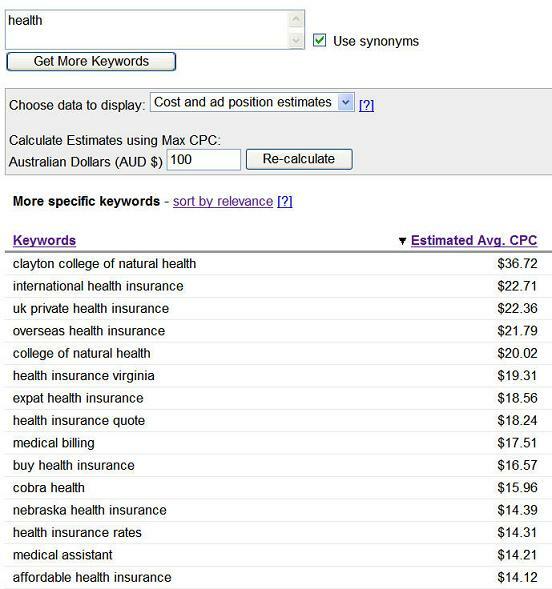 The Adsense income you may receive if you have ads related to these keywords on your site and people click on them will only be a fraction (only Google knows how much for sure) of the amounts shown here. 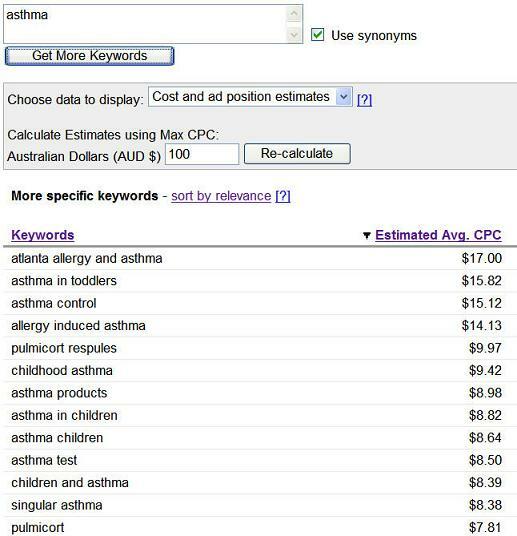 Your testing will help you to know more clearly how much the various keywords are worth to you. Our first market is allergies. 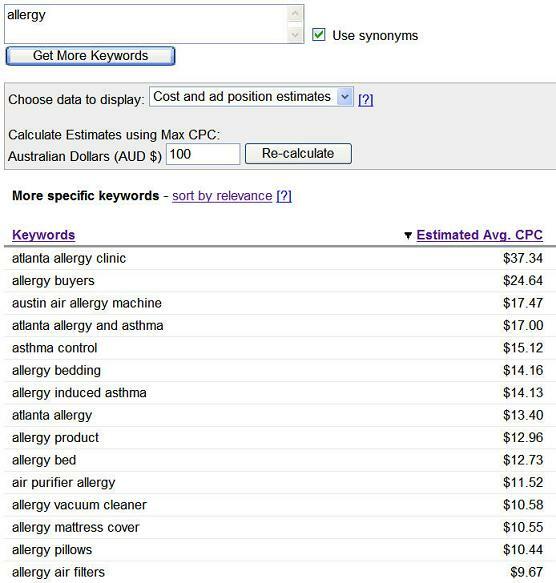 As you can see, if you build pages around keywords like 'austin air allergy machine' and 'allergy bedding', you could earn some very good Adsense revenue from those pages. 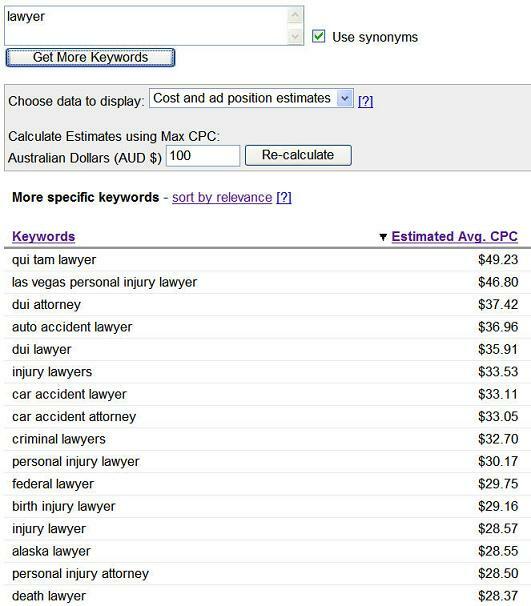 Lawyer is another high value keyword that has plenty of scope to generate Adsense income. 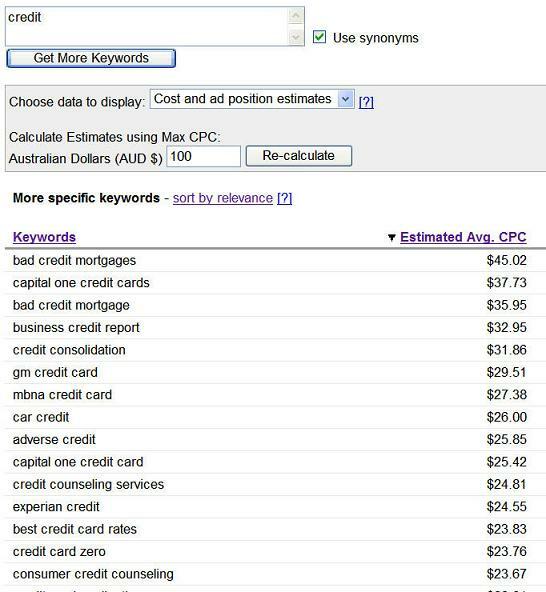 Credit cards are a very competitive market and if you can work a credit card page into your site somehow, this one is another great market to build pages for. Credit in all it's forms is big online, so here's another market that you may be able to somehow incorporate into your site. Loan is another one. 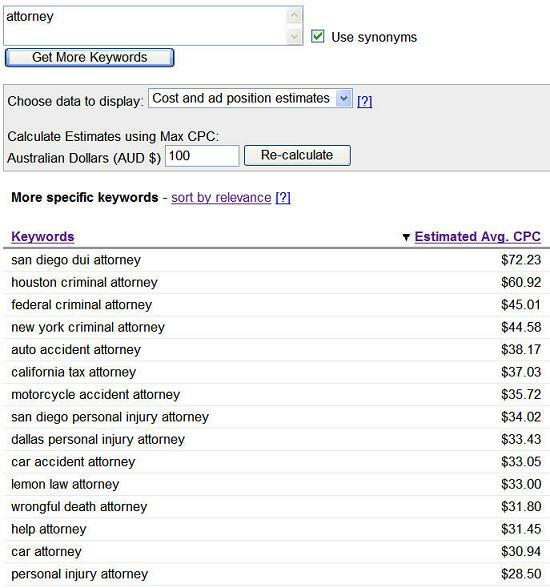 Can you incorporate one of these topics into your website somehow? 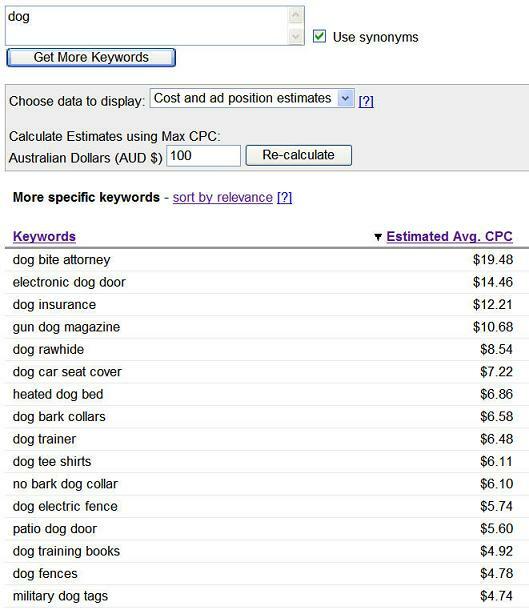 Remember, you have to stay on topic with this - don't just set up pages on all of these diverse keywords and expect people to find you in the search engines. You have to be able to tie these topics into the fabric of your site somehow, or don't use them at all. Again, you could earn several dollars a click for some of these if you have pages set up for them. 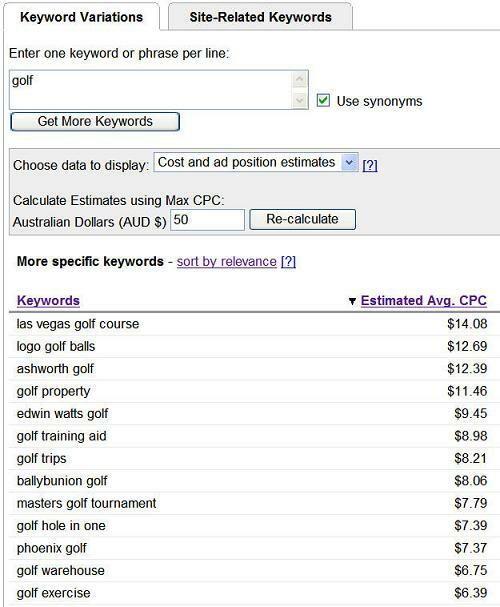 Golf is a huge market and has quite a few keywords with click values over $5.00. 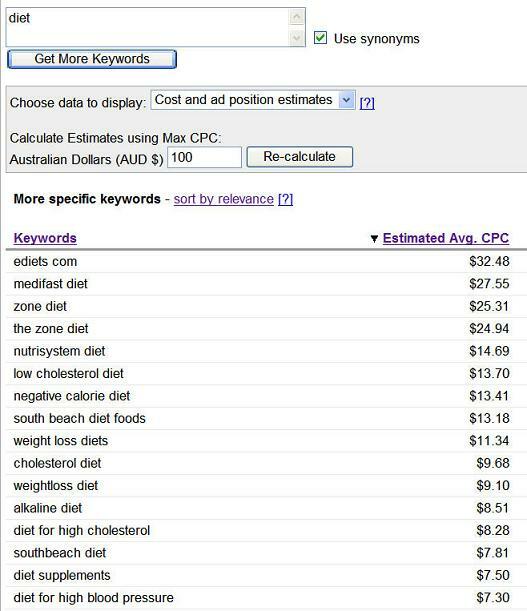 Health has a lot of very good Adsense keywords as well...if you have a health related site, do some research on the sub niches looking for more high value words you can build pages around. 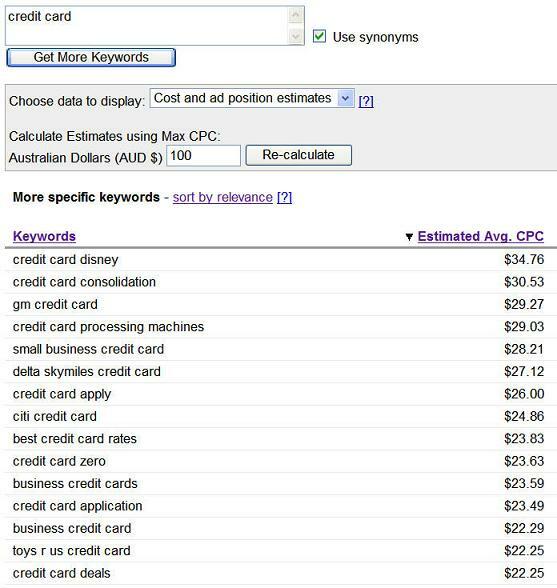 As you can see, this is a great little research tool for finding high value keywords that can earn you above average Adsense income. 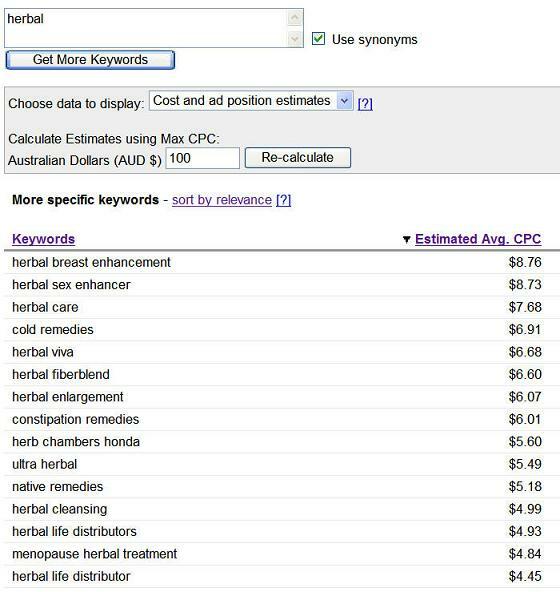 Do the research for your niche market and see what you come up with. Remember, look outside your chosen niche to things that people are buying before, during and after they look for products you sell. There are likely lots of other opportunities to earn additional revenue from all sorts of topics you probably haven't even thought of yet.